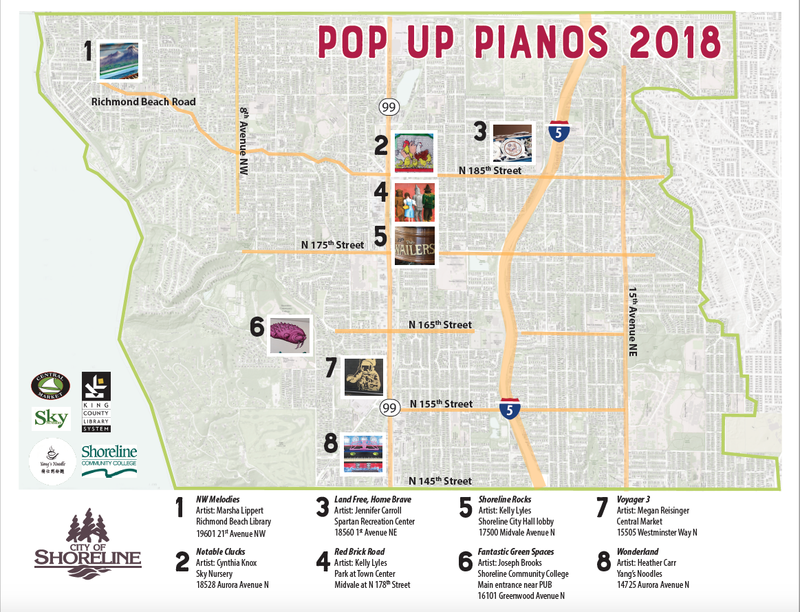 Extending to a full two months of display, Shoreline’s popular “Pop Up Pianos” exhibition series returns for a 7th season (one of the longest running in the region) during the reliably dry weather until September 16, 2018. From the streets of London, L.A., Anacortes, Seattle, Federal Way, Spokane -- to Shoreline’s emerging tradition, street pianos are now recognized in the 21st century as a primary means of reclaiming urban space. Altered and decorated by local artists since 2012, please welcome all eight pianos this year; new commissions will return in 2019. 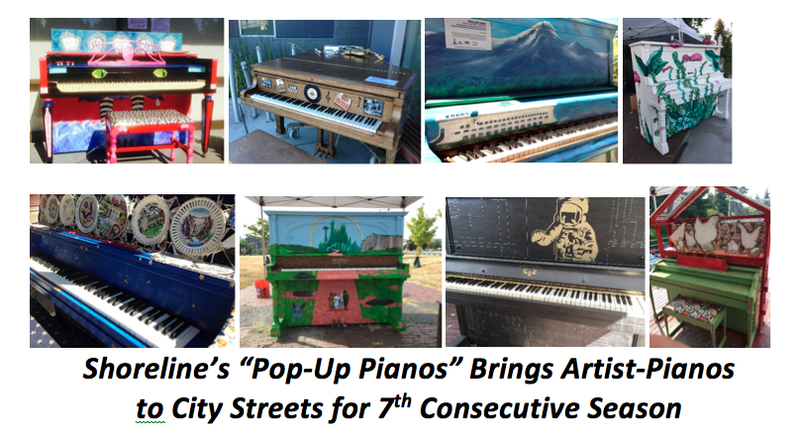 This year’s artists: Joseph Brooks, Heather Carr, Jennifer Carroll, Cynthia Knox, Marsha Lippert, Kelly Lyles, Megan Reisinger.